With this course, U of T becomes one of the only places in the world where students can learn the fundamentals of Ge'ez. The program came about through several significant donations, including from The Weeknd, the Ethiopian community and the Faculty of Arts & Science. 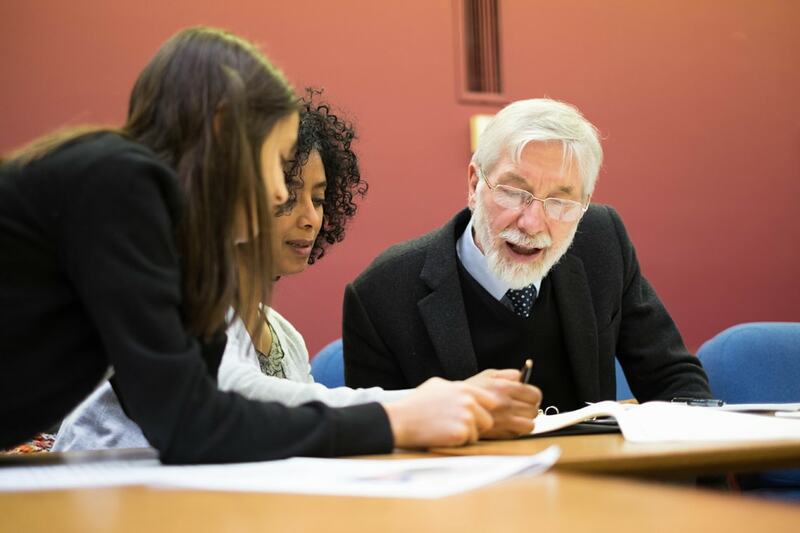 Professor Robert Holmstedt, a specialist in Biblical Hebrew and Northwest Semitic languages, introduces students to orders of the alphabet in the first class on Ge'ez. Since the subject is so rarely taught, Holmstedt had to invent course materials and revise one of the only Ge’ez textbooks in English, the 40-year-old Introduction to Classical Ethiopic: Ge'ez by Thomas O. Lambdin. Ge’ez is a window into an ancient culture and offers insights into other Semitic languages, he said. Michael Gervers, a history professor at U of T Scarborough, helped launch the course with a $50,000 donation and a call to Toronto's Ethiopian community to contribute. The course's first students included members of the Ethiopian and Eritrean communities, students with an interest in Ethiopian culture, medievalists and students in comparative linguistics. The campaign will need additional funding to add further courses in Ge'ez – and even more to kickstart Ethiopian studies.